Nathan McIntyre announced today that Wooden Indian Tobacco of Havertown, PA has received the designation of “Master Retailer” by House of Emilio. In order to qualify, retailers agree to not only carry a broad spectrum of House of Emilio facings, but their staff must undergo training to assure consumers they are fully familiar with all the blends in House of Emilio. "Over time, more Master Retailers will be announced," according to McIntyre, "in various markets around the country." 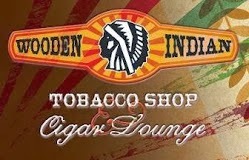 Wooden Indian Tobacco is located at 95 South Eagle Road, Havertown, PA 19083, and interested consumers may call (610) 449-7001 for more information.